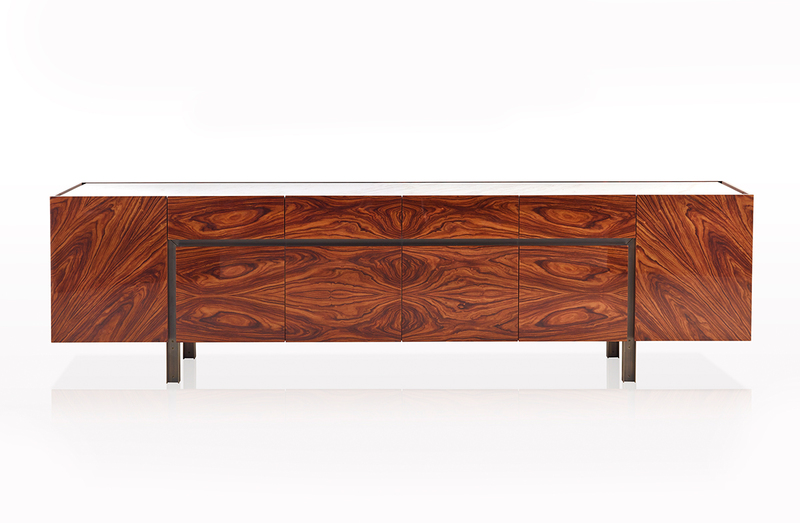 Sideboard with 2 doors and 8 drawers with structure in sukupira, oak, ebony, rosewood, or walnut wood and base in brass with antique bronze finish. Optional LED lighting. Wood finish options: Grey sukupira. Oak in natural, grey, smoke, or mocha tint. Walnut in natural, dark, or mocha tint. Rosewood. Ebony wood. Top: In wood to match or emperador dark brown, breccia damascata, or grigio striato elegante marble.